The Unique Lighting Systems® new LED Micro G4 lamp is now available for use in pathways, step lights and area light fixtures. This new lamp provides a compact body that is water-resistant, allowing installation in any vegetation. 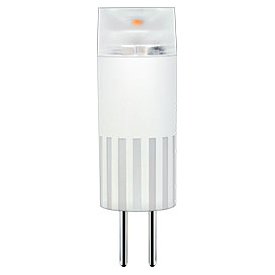 The Micro G4 provides 360 degree light distribution and 10 percent more lumens leading the market in lamp efficiency. It’s also dimmable with most magnetic transformers, and secure packaging is color coded by Kelvin temperature for easy selection. Pick up the Micro G4 lamp at helpful Unique Lighting distributors near you.